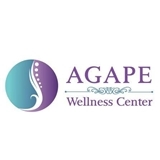 AGAPE Wellness Center (Costa Mesa) - Book Appointment Online! Great service, I felt like they wanted to pinpoint what was going on with me. I have so much relief from one appointment, I can’t wait to go back!! !